Fertilizing your lawn is one key component of lawn care. The right type of fertilizer can work wonders. The wrong type can burn your lawn. How can you tell which is which? High Percentage Nitrogen Fertilizer: Good Lawn Maintenance? A lot of people jump to the conclusion that it is better to use a lawn fertilizer with a 10-10-10 ratio as part of good lawn maintenance. Nitrogen fertilizer with a high percentage isn’t a bad idea in and of itself, however. It is how much you use, and how much you put down. Assuming the amount you put down on the lawn is adjusted accordingly, the higher the nitrogen percentage , the less you’ll need. In addition, with controlled-release fertilizer, even though the percentage nitrogen in the product may be high, the risk of burning the lawn is low. Fast release nitrogen fertilizers, on the other hand often contain high levels of salt and can easily burn your lawn. Maintaining your lawn properly is all about following instructions or calling a professional lawn care service in. And what about organic fertilizer? Regardless of whether a fertilizer is organic or chemical based it must be able to be converted into a form that the grass can use. Organic fertilizers lower the chance of burning grass. However, many organic nitrogen fertilizers have a low nitrogen percentage, meaning you’ll need to use more. Some materials, like compost, are not fertilizers as such, they’re soil conditioners. Both organic and some synthetic fertilizer sources require microbes in the soil to break them down. So if it is too cold outside, the fertilizers will not work effectively. Inversely, if it is too hot you could burn your lawn. 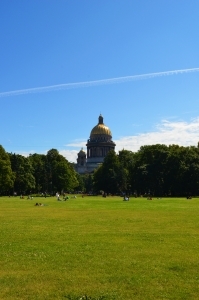 As you see there is a lot to consider when you do lawn care. You may need a landscape remodel, particularly if your property is looking run down. Why? Well, for one, it’s about the impression that you make. There are a lot of popular home and garden makeover shows on cable. Why is that? Because people want their homes to reflect their true personalities. If your property needs a landscape remodel, however, it is because your property doesn’t reflect the real you. Are you a run down person? Of course you aren’t! So why shouldn’t your lawn and garden reflect you as well? You’re a beautiful person, and kept up, so your garden should be too. Landscape remodeling can give your property a brand new look, and usually with some very simple changes. 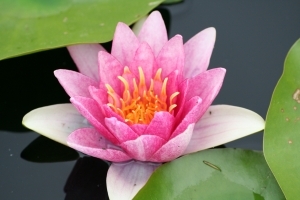 Installing a water garden with water lilies gives a wonderful cooling effect to your home, while calling to mind exotic and peaceful places throughout the world. Maybe, though, you came to Arizona and fell in love with the desert. Landscape remodeling takes the dreams that you have for your home, and makes them become a reality. If you love the desert, maybe desert landscaping better fits what you want. Whatever your taste, the right service can help you get your property looking the way you want it to. And there are other reasons why you should. Not only does a landscape remodel make your home look better, it is one less thing that can cause you stress. In fact, property that has had landscape remodeling done can be relaxing, because you have created a pleasant environment both for yourself and your family. So, let’s see, better reflection of who you are, less stress, beautiful environment. that pretty much covers all of it. So what are you waiting for? Call for a landscape remodel today. You may be wondering why you need to think about remodeling your landscape. Well first off, let’s get into aesthetics. Like them or hate them, HOAs are a part of a lot of major cities. A lot of the time, they require you to keep up your property. Simple landscaping may not be enough. Let’s say you have two ficus trees in your front yard. Ficus trees can be good shade trees, but did you know however, that if they’re exposed to freezing temperatures, the leaves as well as the branches can die off? Some growth may come back, but it is usually at the bottom, and you’re stuck with a tree that is largely dead. The other ficus tree is doing alright, however, but now your yard’s overall design is out of balance. Or maybe all of your plants are doing well. Too well in fact. Your bougainvillea is tangling with your Japanese honeysuckle, and your roses are growing together into a giant rose mass. Landscape remodeling helps to solve problems such as these. However, sometimes it isn’t your plants that need the attention. Sometimes, you may find that other parts of your yard need such work. Your house is hot and uncomfortable during the summer unless you set your air conditioning really low, which makes your cooling bill go through the roof. The problem seems even worse at night, and you can’t figure out why. You have tinted windows, any southern exposures are shaded by your patio, your insulation is fairly new, and you have both reflective blinds and insulated drapes. The problem may not be with your home, it may be that you need to remodel your landscape. For example, desert pavement reflects heat back up. Desert pavement is hardened clay soil, gravel, and rocks. And guess what the desert landscaping in your front yard is? That’s right, desert pavement. It may be a good idea to have a landscape remodeling service come in and totally redo your landscape to one more conducive to cooler temperatures such as a lawn or traditional green space. Your landscape is part of your home and property. However, if you’re tired of, it may be time for a change. Call a landscape remodeling service today. If you need a landscape remodel, give GreenServ Pro a call today. There is another reason to get sprinkler system repair, and we’ll give you a clue: you probably send them a check every month. That’s right your Homeowner’s Association. Love them or hate them, homeowner’s associations are all over the US. One of the rules that many HOAs universally seem to have is upkeep of your property. If you have a broken sprinkler, it may be tempting to just let it slide a while. That is until you get that lovely note from your HOA in your mailbox, and you start down a slippery slope. Why? Well, a broken sprinkler system floods, and usually floods places that are the most vulnerable, the most likely to make a mess, and the places most likely to be visible, in this case, your front yard. A couple of times, your homeowner’s association won’t notice, but if mud starts building up, or your neighbors complain, you could find yourself facing the board, and having to fix the problem on their terms, which are usually more expensive. Calling in a sprinkler repair service should be your first step, once you’ve detected the damage. Why? Well, unless you know full well what you’re doing, you could end up making the problem worse. Let’s say it’s a busted sprinkler head. You say, “I’ve got this.” So you go to the home improvement store closest to you and find the sprinkler system aisle. And then your eyes glaze at the bewildering number of sprinkler heads. You pull out the broken head and try to match it, and finally call over a helpful hardware clerk. He leads you to the right spot, and there is a nice cardboard hopper that’s empty. He checks the part and tells you it’s on back order, and he can get it for you…in 6-8 weeks. In that time, you will have most likely gotten a second notice from your HOA to fix the problem, or face legal action. You could also make the problem worse in another way, by putting the head on wrong, or accidentally tripping a valve. Then instead of one yard fountain, you have a dozen. 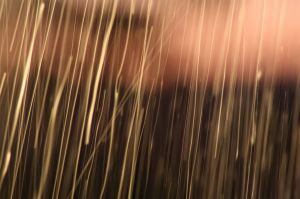 Avoid these scenarios by calling a sprinkler repair service in Chandler. Green ServPro is a Chandler based service specializing in sprinkler repair, outdoor lighting, lawn care, and landscape design. When you need to fix your sprinkler, it is good to know what type of sprinkler you have. There are several types of sprinklers out there. When it’s working, and doesn’t need sprinkler repair, a lawn sprinkler system uniformly waters your lawn,and work on both flat areas and sloped lawns. The type of sprinkler head you have is usually determined by how much space you have to cover. A sprinkler designed for a golf course is more powerful, as it has much more lawn to cover, obviously. Usually the ones that are on people’s lawns usually pop up for a quick early morning or evening spray, then they retract. A drip irrigation system is usually something different. It is a water-saving device that is used often to water bedding plants like flowers or shrubs. Like a lot of products, there are sprinklers that are very elaborate, and some that are quite simple. All of them however, have a network of underground pipes and valves, as well as the sprinkler heads themselves. On more sophisticated sprinkler systems is an automatic timer, allowing you to water your lawn when it works the best. A good sprinkler repair service can fix your system, regardless of how complex it is. Sprinkler systems are nothing more than a network of pipes, valves, and sprinkler heads. As a rule they should be low maintenance, however, the water that is in the pipes is under pressure. Sprinkler heads have gotten better than they used to be, when they were made of PVC or other types of plastic. Plastic sprinkler heads work well in other parts of the country, but they don’t work well in Arizona as they become brittle with the heat and can snap off, sending up a fountain. Valves also can rust shut or jam. When that or any other sprinkler problem happens, you want to call in a sprinkler repair service in Chandler. What type of soil does a gardenia grow best in? Gardenias grow in acidic soil. If you want to use gardenias as part of your landscape design, we recommend only using them in a container with potting soil and peat moss added, otherwise it won’t grow well. The label on my gardenia I just bought says full sun. If I plant it in full sun will it grow? Only if you plant it in a container and move it indoors when it gets hot. Otherwise, it will die out. The ‘full sun’ that is referred to on the label is full sun in a much more temperate environment than Arizona. This is something you really have to think about where landscape design is concerned. Where does the plant come from? Do your research. I was out in California and my sister has gorgeous fuchsias, and I want to grow them here, how do I do it? You don’t, at least not easily. 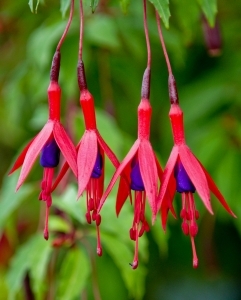 Fuchsias require a more moisture rich climate to do well. You may be able to hang them in a climate controlled greenhouse, but not outside, and they can’t be used in traditional landscape design in Phoenix. I have heard that Jessamine or Jasmine does well in Arizona, is that true? Again, do your homework before any landscape design decisions. Carolina jasmine or jessamine can do well in Arizona, as can Arabian jasmine. However, there are other species of jasmine that you buy from seed catalogs that are supposedly drought tolerant than will quickly become brown sticks with Arizona’s hot summer. It’s all about the choices you make. 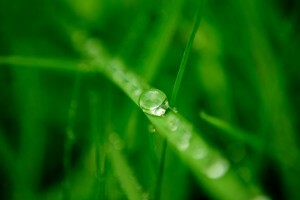 Drought tolerant can mean that it can survive a long time without water…for England where it rains 33 inches per year. Arizona is a bit different. Your landscape design should reflect this too. Good landscape design in Phoenix is based on adaptability. After all, Phoenix is a desert. Phoenix has one of the most fluid populations out there. Even though the number of Arizona natives has gone up in the past few decades, a great many of the people who live here are originally from somewhere else. As a rule, they bring their ideas regarding landscape design with them, which is not always a good thing. Why? Well, what works in one part of the country does not work well in Phoenix. Let’s say you’re from Louisiana and you miss magnolia trees. So you find a catalog that offers them for sale, and you buy one. You pop it in the ground, follow the care instructions to the letter and your magnolia tree dies. Why? Because the instructions were written with the ideal climate for a magnolia to grow in, not Phoenix. Arizona has a desert environment, which makes landscape design Phoenix a bit more challenging. While the Gulf Coast can hit high summer temperatures, it also has a significantly higher humidity rate. Sometimes, plants from humid climes die because the air is just too dry for them and when combined with the heat, it literally bakes plants in the ground. That’s another reason you want to consult a landscape design service before you shell out money for a plant. However, there are other reasons why you may want to consult a pro too. Despite those that have a green thumb claiming that they can grow any type of plant anywhere, there are limits to what you can do. Here are just some of the landscape design questions that we’ve actually answered. What type of soil does a gardenia grow best in? The label on my gardenia I just bought says full sun. If I plant it in full sun will it grow? I was out in California and my sister has gorgeous fuchsias, and I want to grow them here, how do I do it? In our next article, we’ll answer these and many more questions about landscape design. As you see, sometimes it is more complicated than you might think. That’s why if nothing else, consult a professional landscape design service in Phoenix. Green ServPro has been offering landscape design services in the Phoenix Metropolitan Area since 2010. Call us today. Lawn care is a series of processes. One process that is often neglected is fertilizing. As lawn care professionals we’re often asked how we fertilize a lawn. It’s actually very simple. First off, we only use a high quality fertilizer, and we carefully measure the right amount. Timing is everything with fertilizer. It must be applied at the right time of the year. Back east, a lot of people fertilize in early May, early September, and early November. Because Arizona has a much more extreme environment, however, the times of year to fertilize differ greatly. Generally early spring and late fall are best for a lawn care regimen including fertilizing. Why are these times of year the best? Simple, they help to reduce your lawn getting scorched by the fertilizer combined with the excessive heat. Fertilizer can basically be classified into three classes: chemical-based, organic, and hybrid, and they each have their pluses and minuses where lawn care is concerned. Chemical fertilizers contain controlled-release nitrogen. The amount of nitrogen to apply is about one pound of actual nitrogen per 1,000 square feet of lawn area . You have to be careful with chemical fertilizers however, as the percentage of nitrogen can be too high and you may end up scorching your lawn. Organic fertilizer is usually a combination of animal and/or plant waste. It is better for the environment, however, like a lot of eco-friendly products, sometimes it isn’t as effective as it should be, generally because the nitrogen level is too low. A hybrid uses both chemicals and organic compounds. Often effective as a fertilizer, you have to make sure that the percentage of nitrogen is properly balanced. Proper lawn care means that you also know what type of fertilizer works best for your lawn. Fertilizing your lawn is an important part of keeping it up. When you don’t know what to do, call in a professional lawn care company. Lawn Care: When Should I Fertilize? According to most lawn care sources, early autumn is best for fertilizing your lawn. Fertilization is a basic procedure to keep your lawn green and full. If you fertilize properly, it makes your lawn beautiful. If done improperly however, it can lead to problems, such as fertilizer burn. If you’re not careful you can over-fertilize your lawn. Fertilizer burn occurs when the levels of nitrogen reaches toxic levels for the grass. If you do over fertilize your lawn, and you notice leaf scorch or fertilizer burn, first off, don’t panic. Be aware that your lawn can recover, but it will take time. You may need a lawn care professional to come in leech the fertilizer out by diluting it slowly and gradually. The type of fertilizer you use can also help to prevent burning. What Fertilizer Should I Use for Proper Lawn Care? Even among lawn care services there is often debate about what fertilizer you should use. Some are strong proponents of organic fertilizer, while others use a balanced nitrogen solution. To cut through the confusion, you want to make sure that the product you’re using doesn’t have a high nitrogen percentage, and you also do not want fertilizer that has too low of a percentage. As you see, sometimes it is a little more complicated than you might think. When you are in doubt, call in a lawn care service in Gilbert instead. Part two of this series on lawn care explored gas and electric mowers, and part one covered when and how much to mow your lawn. If you need lawn care, call a professional. Green Servpro has been serving the Greater Phoenix area for over 25 years. Part two of a three part series on lawn care explores the use of lawnmowers. There are three types of lawnmowers out there: manual, gas-powered, and electric. Which is best? Well, they each have their strengths and weaknesses. What About Gas Powered Lawn Mowers and Lawn Care? It’s estimated that over 50 million people that don’t use lawn care services in the US mow their lawns every weekend. This has an alarming cost, both to your pocketbook and to the environment. First off, gasoline is not cheap. As of the time of this article, gasoline is running at about $3.75 a gallon on average. Per year, we use 800 million gallons of gas and produce tons of air pollutants. Until the late 1990’s, garden equipment wasn’t covered under emissions standards. Lawn mowers alone emit dangerously high levels of carbon monoxide, volatile organic compounds, and nitrogen oxides, and are responsible for up to 5% of the nation’s air pollution particularly in metropolitan areas. One of the most effective ways of reducing air pollution is to reduce the number of internal combustion engines out there. 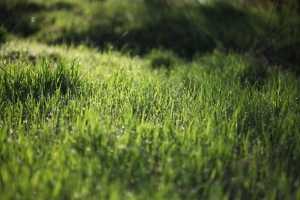 Hiring a lawn care service in Phoenix, AZ, is actually better for the environment. Less use of gasoline, and less use of lawn mowers. If you still wish to use a gas mower, they are fairly durable, only needing spark plugs every now and then and routine maintenance. Yes. There are two types of electric mowers used by your Phoenix lawn care service: battery based and corded. A battery powered electric mower has a battery that you put in a charger until you need it, then you pop the battery in the lawn mower and then mow. The advantage to battery-powered units is that there is obviously no danger of unplugging them accidentally all the time, however, they can also run out of a charge if they’re not fully charged. A corded mower is more likely to keep going, that is until you yank the cord out when it gets tangled. The old-fashioned push mower is obviously the best for the environment, however, it is much more labor intensive to mow even just a small yard. So as you see, lawn care is a lot simpler in the hands of a pro. Part one of our series on lawn care covered how much to mow, and part two explored the types of mowers to use. Part three of our series will explore how much and when to fertilize. Lawn care is all about knowledge. What type of seed, how often you should mow, and what you should use to control weeds are just some of the questions you need answered before you start setting up your lawn. Lawn Care: How Often Should I Mow? Grass grows fairly quickly. A good rule of thumb for mowing your lawn as part of proper lawn care is every week to ten days. Otherwise, your lawn will begin to get out of control. When you mow your lawn as you may or may not know, make sure it hasn’t rained for at least two days and also that you haven’t watered your lawn. Otherwise, instead of cutting your grass all you are doing is flattening it slightly. Then it will start to grow at all angles. Cut the grass when it is relatively dry, and then figure out what you want to do with the mulch. Lawn Care: Mulch or No? A lot of people argue about mulching. One lawn care professional on television will highly recommend a mulching mower, while another one will recommend that all of the cut grass should be removed to help eliminate weeds. For the record, mulching neither helps nor stops weeds from growing. It can provide a level of fertilizer for your lawn and help you to build turf effectively. Too much mulch however, particularly if you haven’t mowed your lawn in a while can lead to bare spots on your lawn. So use your best judgement on mulch. You also have other considerations if you want to mow your lawn yourself, like what type of mower to get. Believe it or not, manual lawn mowers still exist, even more than a century after they first came out, and they do have a bit going for them. For one thing, they’re durable. A manual mower can last years or even decades, and need just a bit of sharpening every now and then. They are great exercise too. The biggest drawback they have is that they are slow. It takes two to three passes of a section of grass to get it to cut down. If you get tired, you’re better off calling in a lawn care company to mow your lawn for you. Part two of this series on lawn care will explore gas and electric mowers, and part three will cover when and how much to fertilize your lawn. Sprinkler repair is a surprising method of water conservation. And conserving water is an important priority for the entire Southwest. How Can Sprinkler Repair Help? Getting a sprinkler repair company in can help to stop unintended residential water waste. Residential water waste is a problem, according to the Arizona Department of Water Resources. In the average American household, outdoor water use accounts for 58% of residential water use; and 80 to 90% of that comes directly from landscaping practices. This sizable portion is usually due to large amounts of grass or turf, over-watering, or leaky or inefficient irrigation systems. To read more of this article, please click here. 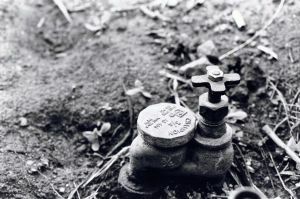 As stated by the Arizona Department of Water Resources, a large percentage of the problem is due to faulty irrigation. If you want even more reasons why you should start to consider getting sprinkler repair done, look at California. California is a state that often struggles with drought, and they have some of the harshest regulations regarding water conservation in the US. Simply leaving your sprinkler on in the rain can cause you get a $1500 fine. While Arizona doesn’t have nearly the regulation level that California does, as the population increases and the demand for fresh water also increases, who is to say which way the laws will start to go.? Water conservation will be one of the biggest environmental issues of the 21st century. So get in the habit now. Fix your leaky faucet, and turn it off while your shaving or washing dishes. Landscape your home to be water efficient, and above all, think about water conservation. Getting sprinkler repair done now can help save you some trouble down the pike, and it is one of the best ways of water conservation out there. Okay, so let’s say you’ve gone to your garden shop or home improvement center and picked out a few plants. You plant them, and you think you’re more than generous with the amount of space each of them is going to need to grow. Then a few months later, you notice that you’re trimming your plants a lot. Why? Well, you didn’t really realize how much certain plants can grow. Look at a bougainvillea or a lantana for example. If they have ample water and sunlight, both of these plants can grow everywhere, and grow at a quick rate. 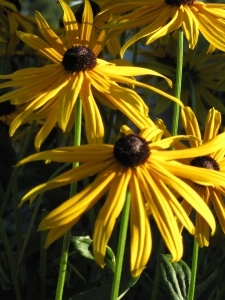 Your landscape design company will know what to plant and what not to plant. Living in Arizona, we don’t really have to worry about kudzu as it doesn’t grow here, but both lantana and bougainvillea do grow here and grow quite well. You ruefully start investing in garden tools and garden tool sharpeners, both of which could have been avoided if you had just contacted a landscape design company in Chandler, AZ. However, it isn’t just the amount your plants can choke each other out. It’s also about what your plants need where water is concerned. 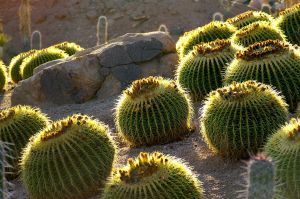 We’ve said it before in some of our other blog posts, but you can’t plant something like a golden barrel cactus that needs very little water near a rose which needs a lot of water. Besides the fact that it will look more than a little odd, one plant will thrive and the other one will die. Landscape design is also about placement. You place plants that work well with each other both by looks and by water consumption. Part two of this series will explore some effective strategies of how to place your plants, and where you can plant them. 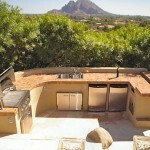 Green Servpro is a landscape design company serving the Greater Phoenix Area. Sprinkler repair is something that you need to do for more reasons than just merely aesthetics. 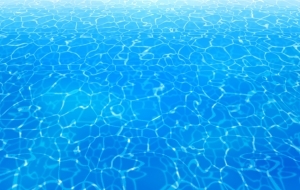 Simply fixing your system can also help to protect a precious resource in Arizona: our water. 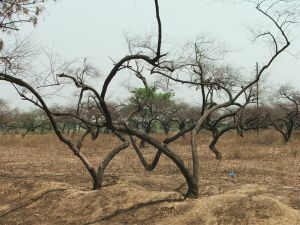 Desertification is a type of land degradation in which a relatively dry land region becomes increasingly arid, typically losing its bodies of water as well as vegetation and wildlife. It is caused by a variety of factors, such as climate change and human activities. Desertification is a significant global ecological and environmental problem.The Princeton University Dictionary defines it as “the process of fertile land transforming into desert typically as a result of deforestation, drought or improper/inappropriate agriculture.” [READ MORE] If you’re thinking, how much difference can sprinkler repair make in a dry place like Arizona. To put it succinctly, a lot. Consider if you will. A broken sprinkler can waste as much as 100 gallons of water if it ruptures. And drought is getting to be a big problem here. Chandler is a fast growing population center, however, with such growth comes some challenges. One of the biggest ones is availability of water resources. Lake Mead is at 39% of it’s capacity and may not be able to generate electrical power as soon as 2017. Lake Powell is down to 30%, and even lakes like Roosevelt have lowered because of water demand. As the population increases so does the demand on the water supplies. Fresh water is a rare, and precious resource. Sprinkler repair can help in a small way to protect this resource. Green Servpro is a sprinkler repair company in Chandler, AZ. As we discussed in an earlier post, good landscape design is all about features. One of the best features to have for your backyard is an outdoor kitchen. The weather’s getting warm, and one of the things that warm weather means is that you are going to want to have a barbeque and maybe even an outdoor dinner party. If you are the host as well as the chef, guess what? You’ll see your guests in passing as you bring out the dishes to be served. What’s the answer to this problem? Crock pots? Sure, if you prepare the right foods, however, if you’re not careful, your award winning chicken and dumplings can turn to library paste if it sits there long enough. No, a better answer, and also part of an ingenious landscape design plan is an outdoor kitchen. An outdoor kitchen can be adapted to fit your existing landscape design. It’s all about placement. You never want to install an outdoor kitchen anywhere where it is not safe. Putting a fire source near anything flammable for example is not a good idea. You also want to keep your outdoor kitchen somewhere relatively secure, like your backyard for example. You probably don’t want some intruder to vandalize it or anyone to use it without your knowledge or permission. As for what features you can include when you install an outdoor kitchen, that is up to you and your budget. Outdoor kitchens run the gamut from simple grills to sophisticated units with ovens and refrigerators. Above all else, get the right help to set it up and install it: namely a professional landscape design service. Green ServPro is a landscape design service based in Chandler Arizona. Call us today and let us make you the host or hostess of dinner parties that will make the movers and shakers take notice.